Hello there ladies, howd’ya doin’? The lady on this side had gone bonkers juggling scheds between kiddos, household duties, setting up projects for the first quarter of 2016 and running muddy farm errands almost everytime. Thought that was a crazy sched, funny 'coz I still can pop in pedis and manis in between, lelz. But just the way I thought I would be, I’m positively great! Today’s blogpost is all about wine in a box. I’ve seen this box a lot of times at the wine shelves and happen to read occasionally some reviews online in the past too. But I have never really dared buying one. Not that I don’t like red wines, but its because there weren’t just any occasion in the past where I need 3 litres of wine in one seating. Until one day, along with my ‘Fooder’ friends (Thank you Doc Zeny of Happy Cakes and Jojie Alcantara for hosting our Christmas get-together) I experienced tapping red wine from the faucet myself and it was kind of fun and loving it! 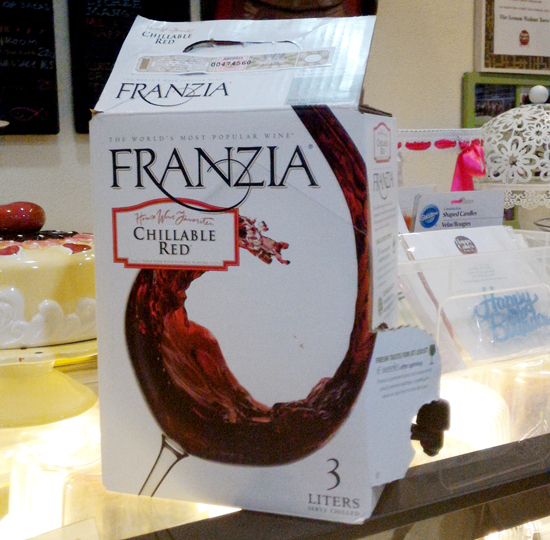 Yeah, I’m talking about Franzia, The Chillable Red Wine in a Box. This product is not really new. This brand and this type of packaging have been lounging in the market for some time now and this post is just about striking a chord that hey! 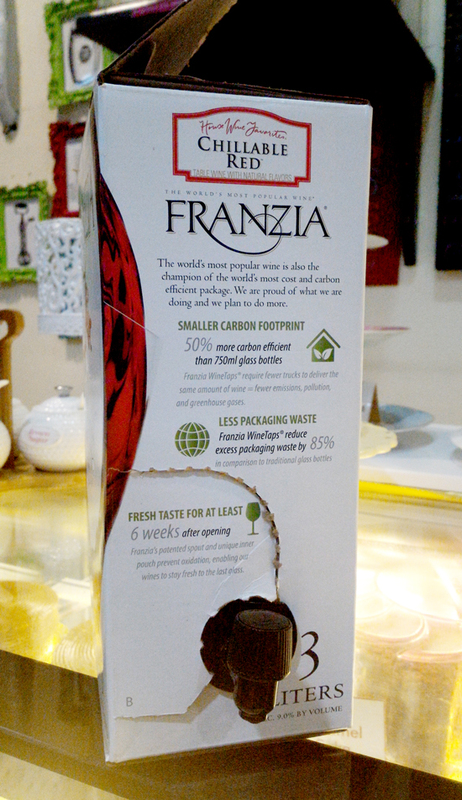 You’re missing something awesome in your wine nights, especially to my lady followers, if you’re not trying Franzia wine in a box. 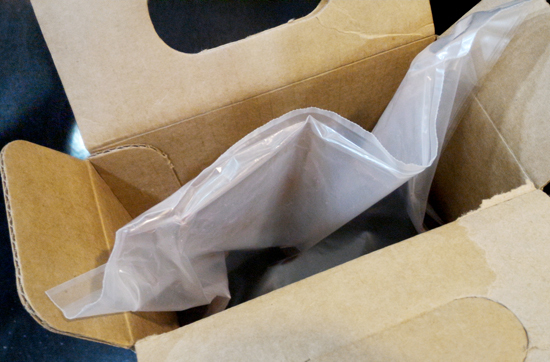 The inside contains a food grade and thick plastic bag where it holds the 3-litre Franzia wine. You can flip open the top part and extract the cellphone and chill it. 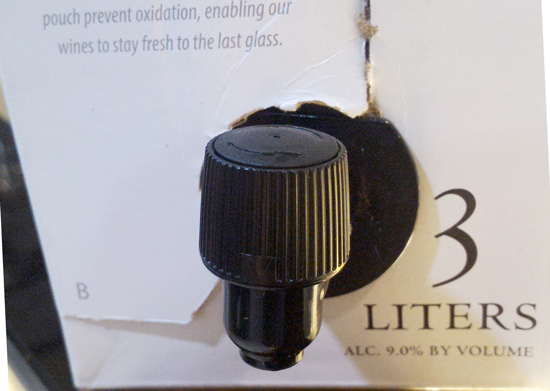 Return it back to the carton and poke the outlined hole at the bottom part of the box to let the spigot out. Then twist open the faucet, fill and refill your wine glass to your heart's delight. I was thrilled to see that this little tap is actually sturdy and well-made. They say, one glass of red wine can be the equivalent of an hour at the gym. Now that I know, I should have more of these, lol! You'll have smaller carbon footprint when drinking wine in a box - cardboard boxes are recyclable and biodegradable. This package claims to be 50% more carbon efficient than its bottled counterpart. Plus, you can carry this box with you without fear of breaking the bottle, anytime, anywhere. The bottled ones may look really classy. But if you and your friends are up for a long wine night, 4-5 glasses from a 750ml bottle is just way too modest for a night of fun and crazy stories up ahead. This red is light bodied and super easy in the palate. 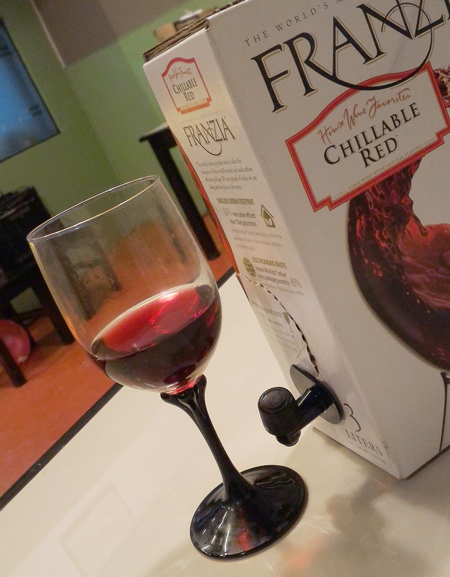 So if you plan to foster stronger and closer relationship with wine, in which I certainly know - women and wine have the most stable, strong and reliable relationship to date, do it with Franzia Chillable Red Wine in a box. You'll have way more glasses coming from this box than from the bottled one. If and when you just want go easy and worry that the spirit will come off after opening, this packaging guarantees fresh taste even 6 weeks after opening. So fret not about the left-over, you can still serve it with same fresh taste any day. To the good life, Cheers! So there you go, ladies. The next time you think about drowning your sorrows from yet another miserable heartbreak, celebrating yet another life’s achievement or simply a gathering of friends and family to reconnect, I recommend you go for a box of Franzia Chillable Red! Franzia Chillable Red wine in a box is solely distributed by Fly Ace Corporation in the Philippines and available in all leading supermarkets and your favorite wine stores nationwide. Thank you so much Miss Lormy Papa, Fly Ace's Account Officer for letting us experience wine in a box. Wooowwww! Thank you Mommy Verna for this wonderful blog about Franzia wine. This is really awesome! You definitely pulled it off! Hello Ms. Lormy, glad you liked the post. It's a great product too. Thanks a bunch also for sharing this to us, 'till next time :) Cheers!